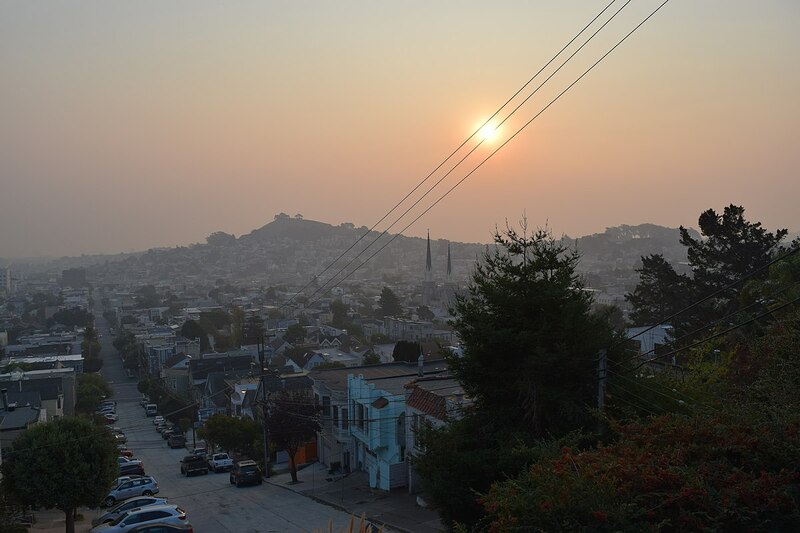 A Smoky sunrise over Bernal Heights on Saturday, November 10. Taken from Noe Valley. It cannot be denied that the fires burning in California has affected us all. We must all take a moment to reflect on all that we have and be grateful over the coming holidays. Over the past week one may have noticed the thick haze in the air. It’s not fog, it’s smoke. There are two massive fires burning in California at the moment. The one affecting our air is the Camp Fire, burning two hours north of Stockton. The fire has burned 148,000 acres and continues to grow. CAL fire says that 55 percent of the fire is contained. This fire has been the deadliest and most destructive fire in California history. 74 people have been confirmed dead, with over 1,000 people still missing. 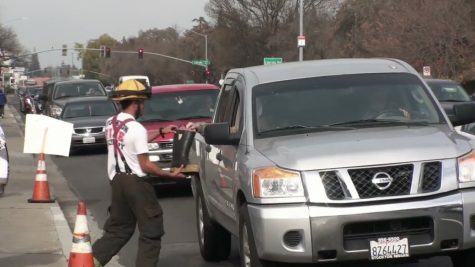 The smoke given off from the fire has wondered its way south, affecting millions of people in the Bay Area and San Joaquin Valley. The smoke has forced the closure of dozens of schools. San Francisco Unified School District was closed, Oakland Unified was closed, Contra Costa County Public Schools were closed, U.C. Davis, Sacramento State University, University of the Pacific, Delta Community College all closed due to the unhealthy conditions. San Joaquin County public schools remained open though. We reached out to the San Joaquin County Office of Education and spoke with Zach Johnson, the Public Information Officer of the county office. Johnson shared with us information from the Public Health services of the county. It says that when the air quality is unhealthy to consider cancelling the event. When the air quality is hazardous is says to cancel the event. It also says to, “err on the side of caution. Follow the recommendations for the worse of the two assessments.” When the air looks bad, and the Air Quality Index is reporting unhealthy or bad numbers the Public Health Service recommends to cancel the event. The air was never healthy on Friday. On the San Joaquin Valley Air Pollution Control District’s website the data shows that the Particulate Matter was far above the highest level. Level 5 is the maximum level on their charts, the Particulate Matter (PM) sits at about 90 at this level. Again, the highest level, level 5, is 90. Through the entire day the PM was anywhere from 133 all the way up to 305. At 9:00 AM the PM was measured at 305. At 2:00 PM the PM was at 187. When the air is this bad the Valley Air Pollution Control District is to move all students indoors or to cancel the events. The choice is not up to the county office weather or not schools stay open. When asked about this issues Zach Johnson said, “School closures are the decision of individual school districts, in consultation with their local health department.” Johnson also says, “The San Joaquin County Office of Education does not make the decision for school districts. It is the role of San Joaquin County Public Health Services to provide guidance.” Public Health Services showed unhealthy numbers for Friday, so did the San Joaquin Air Pollution Control District. A number of students had complained of headaches, sore throats, watery eyes, all related to the smoke in the air. If the air was unhealthy, smoke in the air as thick as fog, why did students still go school? A number of students didn’t. 253 students did not show up to their first period. By fourth period 338 students were absent. Hundreds of students left campus because the air was not healthy. The air was simply unhealthy to be in.